I spent all day cooking and baking Sunday. What’s new, right? After church, I planned my day in preparation of our week as we start school back. My goal was to make something to have on hand for each of the kids that are dealing with their food sensitivities, plus make things for the rest of the family. I made soup, bone broth, paleo granola bars, paleo granola, pumpkin cookies (That I will share) and pumpkin rolls. So far we’ve really noticed how much calmer (the children being treated) are and I’m going accredit a lot of that change to no sugar. No raw honey, and no maple sugar… It’s crazy to realize how much cane sugar is put in so many cured meats also! (Even the “good stuff”…) It made me really wonder, why make something organic, and gluten/diary free – then add in cane sugar or nightshades?? Crazy! Mix together and scoop out onto unbleached parchment paper on a cookie sheet and flatten before baking for 16-18 minutes. Makes about 2 dozen cookies. “Let not your hearts be troubled. Believe in God;believe also in me. In my Father’s house are many rooms. 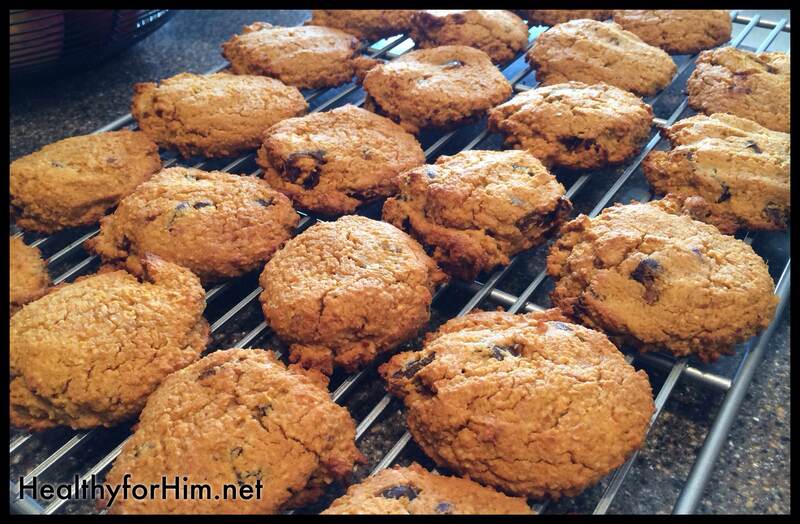 Posted on December 30, 2013, in Auto Immune Disease, Auto Immune Protocol (AIP), Celiac/Gluten Sensitivity, Food To Try and tagged auto immune disease, gluten free, gluten intolerance, healthy for him blog, large family Paleo, MS, pumpkin egg-free paleo cookies, Sugar-Free Paleo Cookies. Bookmark the permalink. 3 Comments. Thanks Mandy – they were a hit! (Kari is the friend) 🙂 Happy New Year!